Consumer protection advocate Ralph Nader praised Solved! And what is the system? In America, it is a hybrid of private healthcare providers, massive insurance companies, and governments at the state and national levels. Unlike Britain with its single-payer National Health System, this public-private mixed-breed creates the need for patient advocate professionals, who take up the cudgels on behalf of the medically disadvantaged and the financially strapped. I [AGG] had to write this book. My decades of experience with medical practice billing and insurance claim handling rudely educated me about the high frequency of erroneous billing and mistaken denial of medical insurance coverage claims. Problems with medical bills can cause a tremendous bankruptcy. If we had a system like “single-payer” [government-only], I would be out of business. I saw how hard life could be for those whose medical conditions left them weak, confused, and sometimes impoverished, lacking the information and expertise that would help them uncover and correct unfair medical charges and inappropriate denials of their insurance claims. 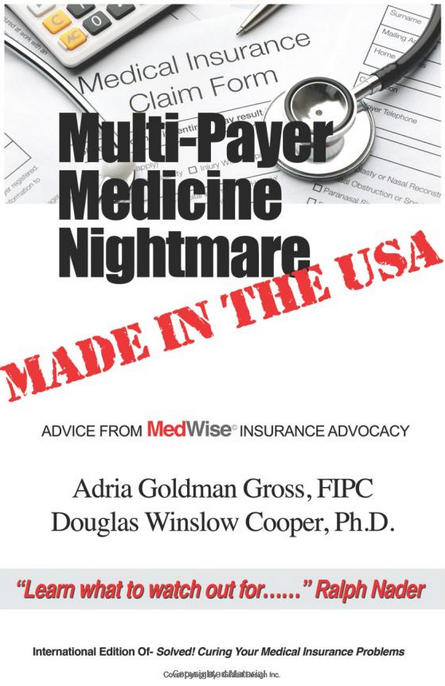 Keep from being cheated by medical practitioners or organizations who would over-charge you, deliberately or inadvertently, and prevent your being short-changed by those insurers who would under-compensate you for your legitimate medical expenditures. Even the excessively slow payment of justifiable expenses can bankrupt patients who had no idea their medical care would be so costly or who thought they were covered by insurance, only to find that one or more of their doctors was “out of network,” making the patients “out of luck” and having to pay the full, sometimes exorbitant, medical bills. Knowing how the system works can help you speed up the process. Baffling billing by hospitals and doctors combined with obscure exceptions, conditions, or requirements in their medical insurance policies leave many people feeling overwhelmed just when at their weakest. I became determined to write and speak on behalf of the mistreated and the bilked, using the expertise I had gained in my decades in the medical billing and insurance fields. I hope our book will bring valuable resources and needed reassurance to those caught in our modern medical money maelstrom. 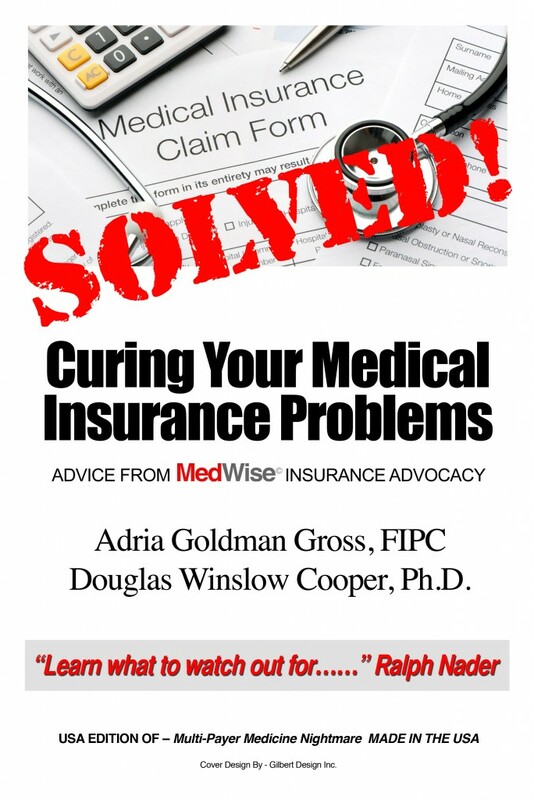 Having fought successfully to win millions of dollars of continuing medical insurance coverage for my wife, bedridden with multiple sclerosis for over two decades, with around-the-clock skilled nursing for the past eleven years, I [DWC] was pleased to assist patient advocate Adria Goldman Gross.